Size: 3.25" diameter x 0.2"
Finally a wireless QI charging pad that is fast, convenient, and most of all fashionable. 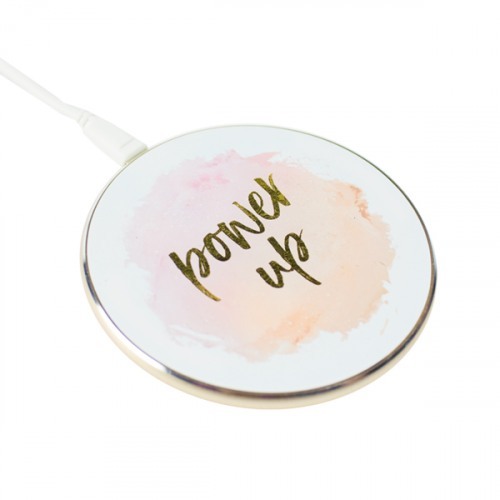 This beautiful rose gold PowerPad is an electronic accessory that can seamlessly blend into your home and looks great on the go as well. Charging pad is compatible with Iphone 8, 8+, X, XR, XS, Samsung Galaxy 8/8+, 9/9+ and most other QI compatible devices. Charging pad comes with a microusb cord to provide power to the charging pad (wall plug not included).